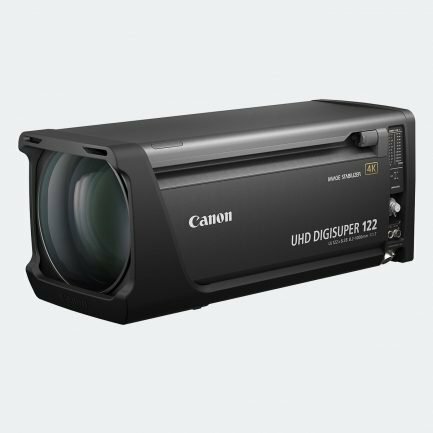 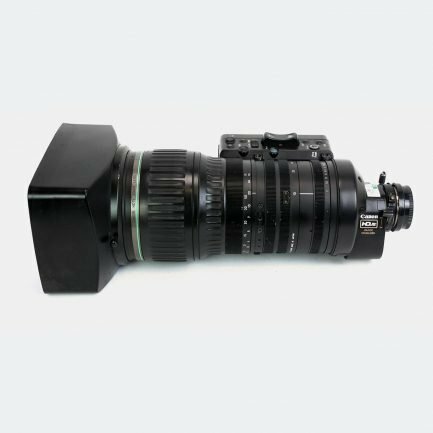 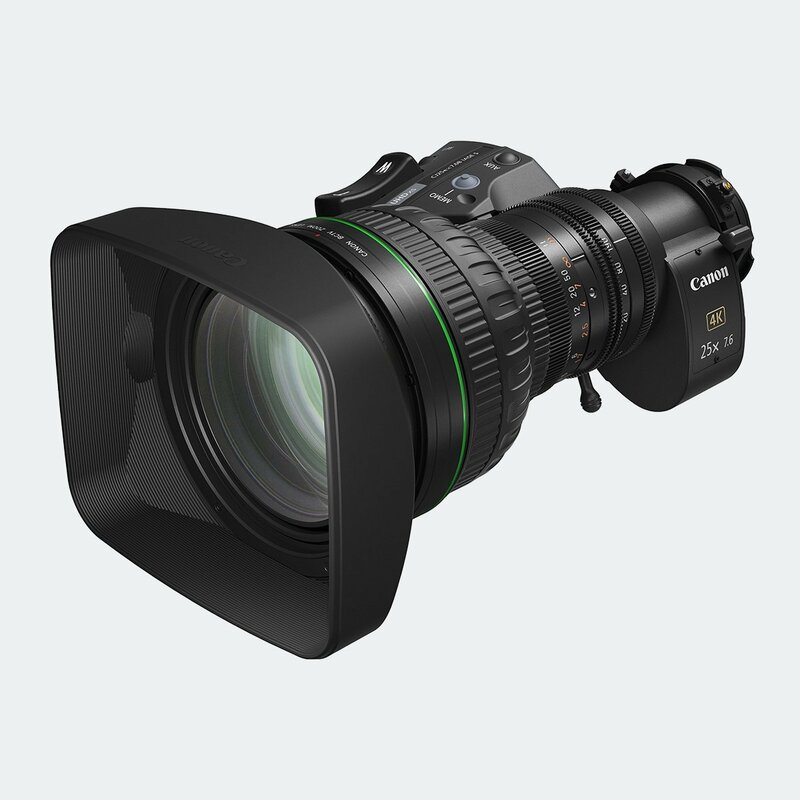 The portable CJ25ex7.6B 4K UHD class leading 25x telephoto zoom lens* is a part of our 2/3-inch UHDxs series, combining outstanding optical performance and support for 4K UHD (and HDTV) broadcast production. 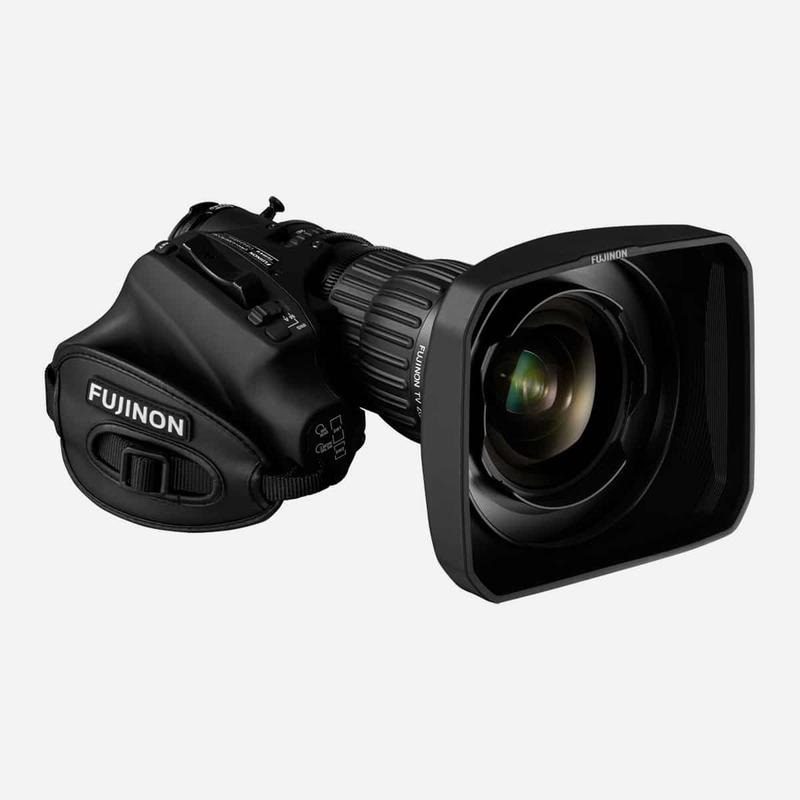 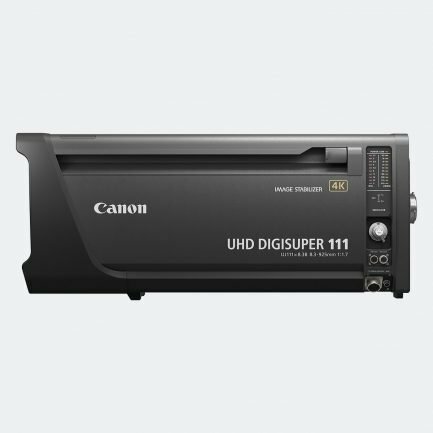 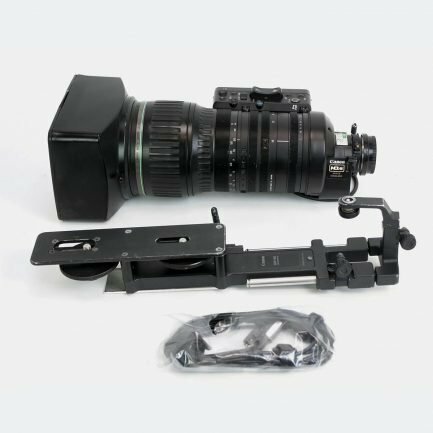 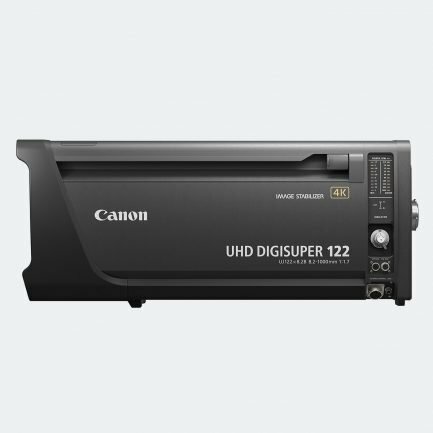 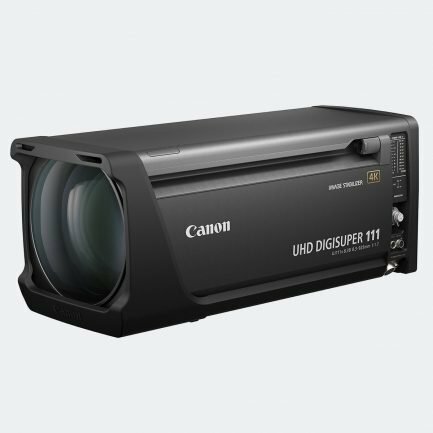 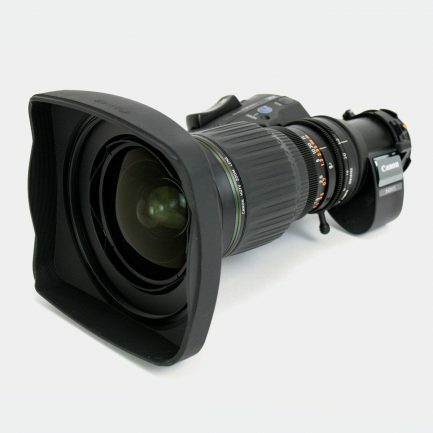 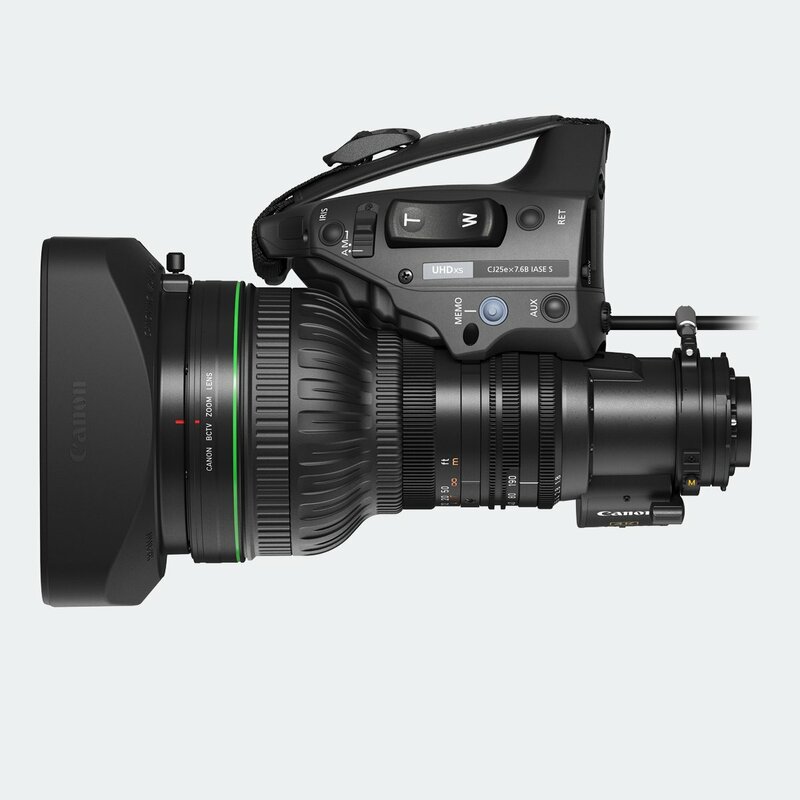 Its compact size and light weight support the high mobility shooting often entailed in documentary and many other genres of television field production. 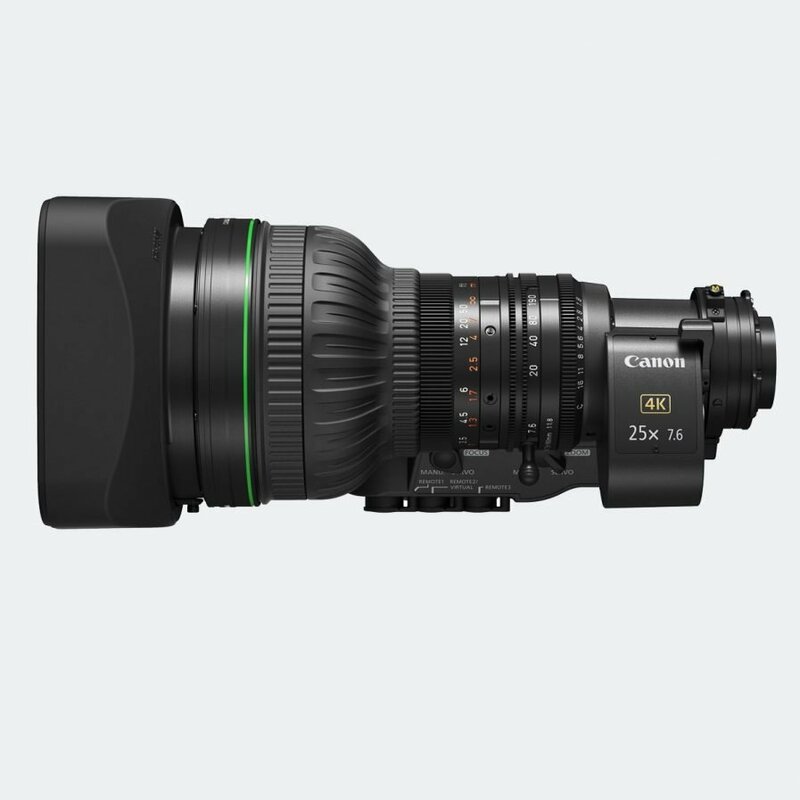 The CJ25ex7.6B is the first 4K UHD broadcast lens in its class* with a 25x optical zoom (190mm) on the telephoto end (380mm with the built-in 2x extender). 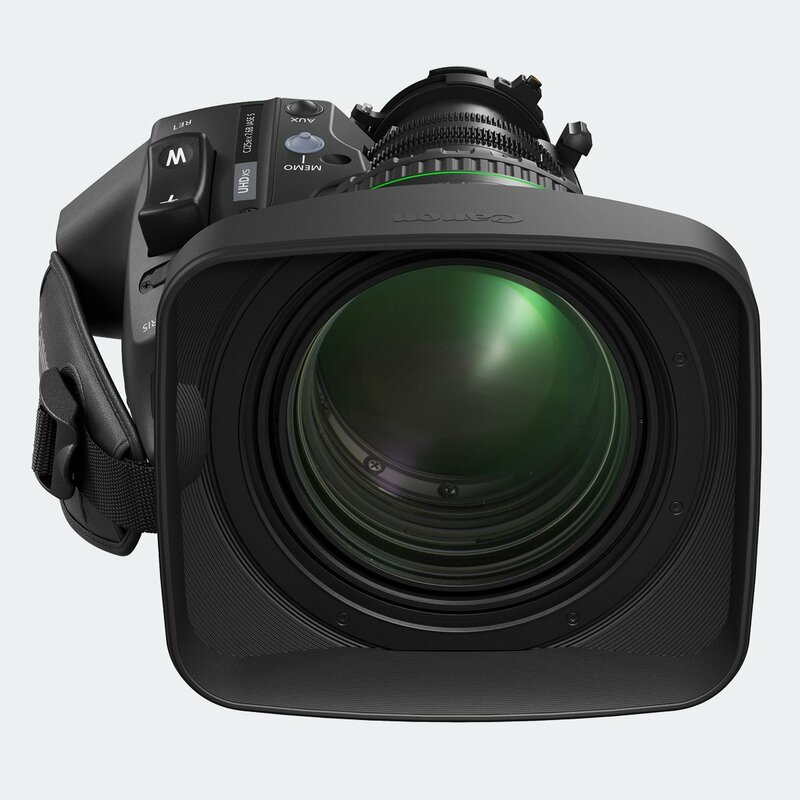 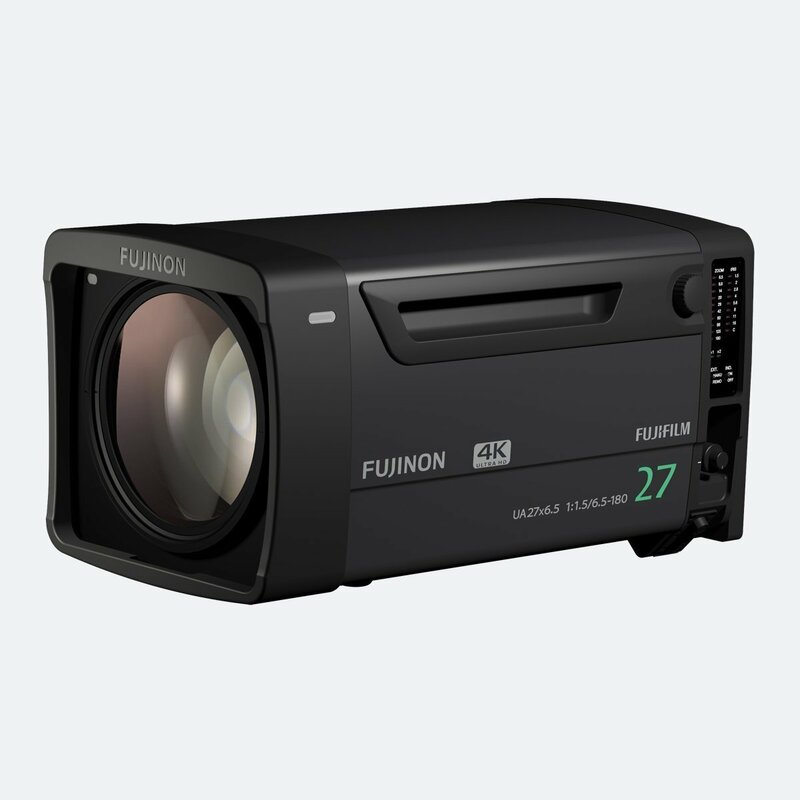 Combined with a 7.6mm wide setting, the CJ25ex7.6B is ideal for a wide range of 4K UHD outside broadcast television productions including live sports, nature, concerts and other live events. 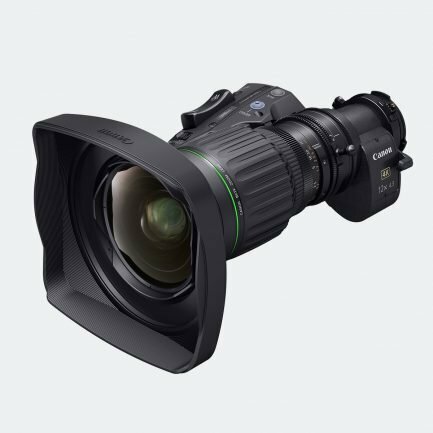 Lens design strategies have extended the optical dynamic range to meet contemporary HDR imaging requirements, and support the wider color gamut specified in the international standard ITU-R BT.2020. 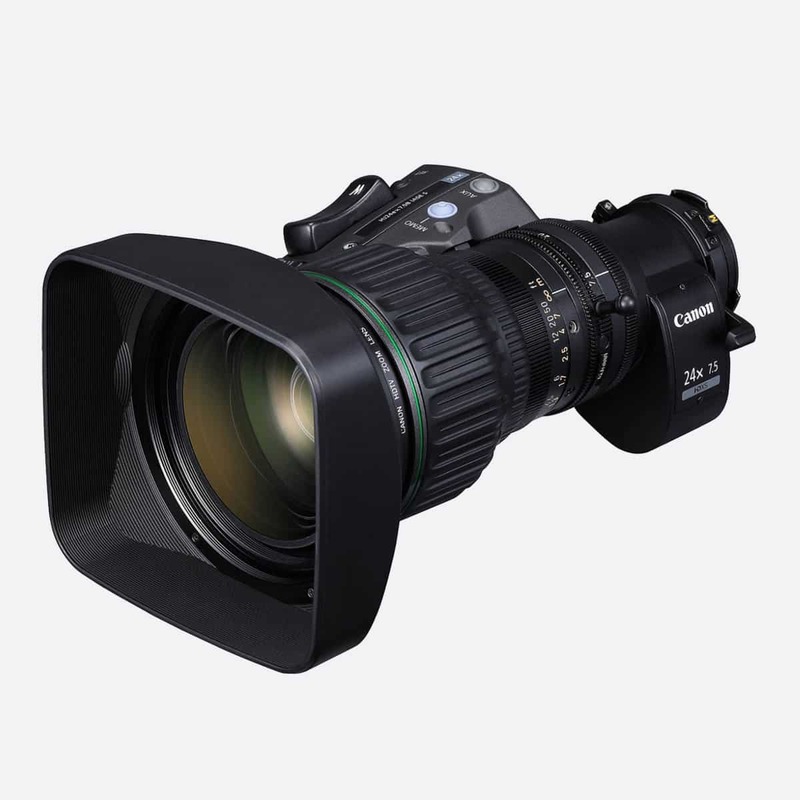 Weighing in at a highly portable 1.99kg, the Canon CJ25ex7.6B is an ideal lens for 4K ENG and live sports broadcast when used with the Sony HDC-4300. 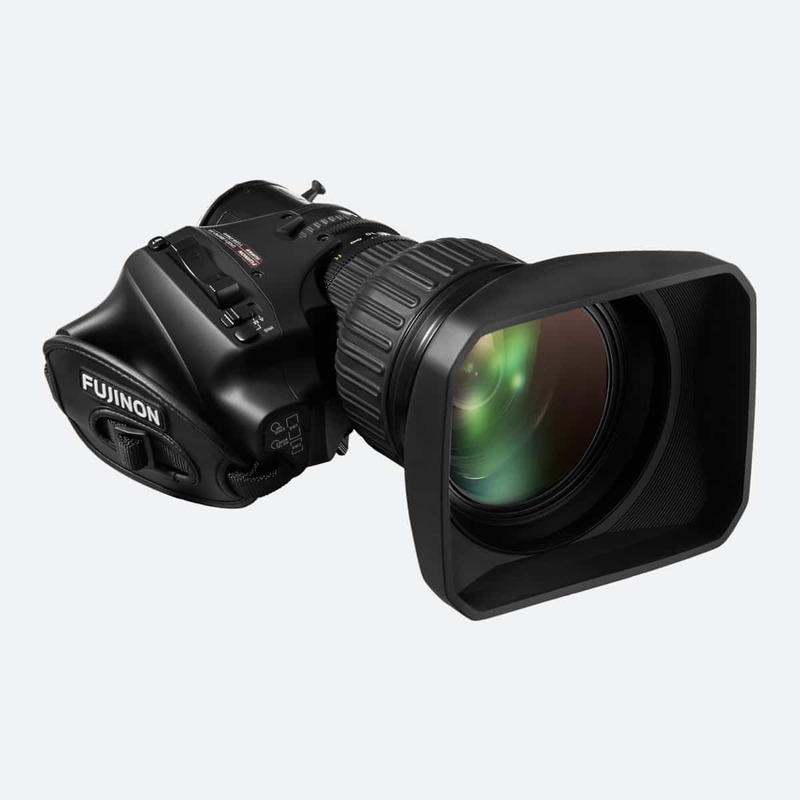 Paired with the Sony HDC-P43 for 4K fixed position filming, the CJ25’s extensive focal range really comes to the fore.